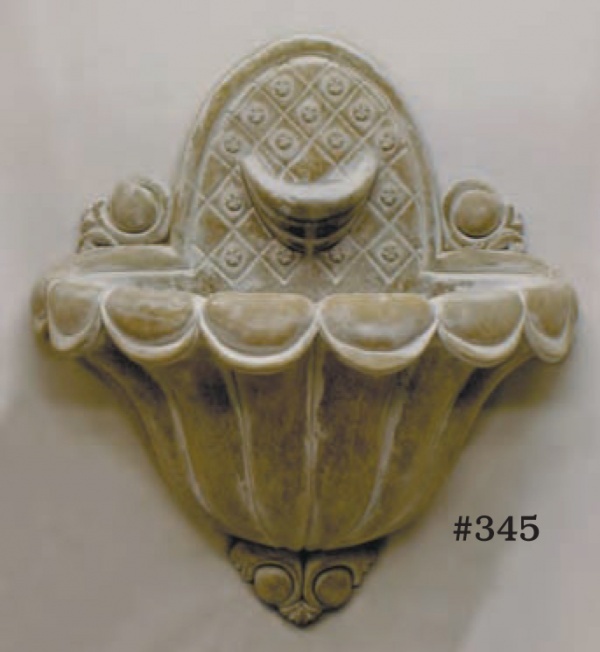 #345 Regency Wall Fountain, Width: 24″; 12″ Deep; height: 23″ (60 lbs.). Ornate and decorative, this fountain is plumbed to recirculate, but can also be used to overflow into larger basin below. Recessed hangers are same as #346 Shell Wall Fountain.